What is Initiation all about? Hear from women who have taken the Initiation journey, as they share their experiences. Do you get the feeling that your wild nature is on lockdown? Do you have the feeling that there is ‘something more’ you want to express in your life? Are you longing for the company of other women, with whom you can just ‘let go’? You are not alone. A circle of sisters is gathering to witness each other as each woman unfolds the true expression of herself, held by sacred ceremony, by nature and by the practices of our ancestors who honoured and celebrated woman’s cyclical nature. PLEASE NOTE: If you would like to begin the journey sooner than 2020, we recommend joining our 9-day camp Immersion in June 2019. So many women instinctively feel that if they could open to the full flow of their shakti energy, if they could bring their full selves to life, life could be even richer. So many women are taught that their true feeling nature is ‘messy’ or ‘chaotic’, unwelcome in a world that values order and productivity above all else. So many women feel alone, longing for a circle of women around them. Women with whom they can feel a deep bond of friendship and trust. Initiation is a journey into how to reclaim and embody the beauty, power, wildness and fiercely loving heart that is the true feminine – to break through the generations of conditioning. Here is what you can expect.. This training, spread over a year, gives you a complete map to living as the deepest whole woman you are. The dates on which we gather follow the seasonal flow of the year, month and life arc of woman. The whole journey tracks the 4 main quadrants of the wheel which in turn embrace the 4 main aspects of woman. Within each of these we delve deep to fully heal, reclaim and celebrate these rich expressions of womanhood. Each point on the year’s cycle marks a key energy change in nature around us and within us as women. 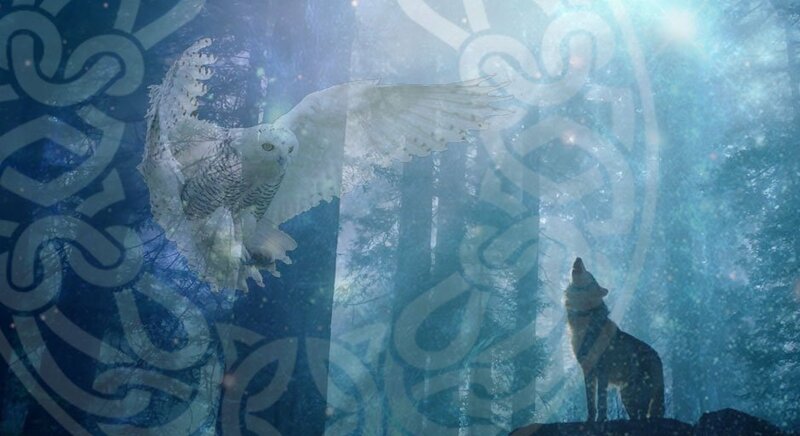 They were marked and honoured by our ancestors, as part of their lives together, and in this way we support the coming into our innate connection with these cycles living within us. The residential modules of the course take place at Earthheart, Jewels’ centre nestled deep within the ancient Forest of Dean, where wild nature is all around as teacher and mirror to each woman’s own reflective journey. Jewels has spent the past 20 years reawakening these ancient sacred teachings. She is passionate about bringing them forward to facilitate women in stepping into their power, bringing forth their gifts to the world. In the patriarchal paradigm we compete with each other, keeping ourselves separate and isolated. Because of this cultural overlay, it takes a commitment to enter a circle of sisters and return again and again so we can support each other in the collective unfolding. At this time on Earth the sacred feminine needs to return fully and bring forth the gifts she has for the transformation of all women and our world. This training is by application so we can be sure we are able to take the best care of you on your journey. On application, you will have a brief Skype with one of the teaching team members. Contact us if you’re interested in joining this training. All residential gatherings take place at EarthHeart and begin 1pm on the first day and end by 4.30pm on the last day. You are required to attend all residential modules. Online gatherings are 2.5 hours on a Tuesday. Personal study practices are given to do between modules as preparation for the next gathering. You are worth the investment you make in this training, and you deserve it! Accommodation is offered with different options depending on what you enjoy and your budget. It includes meals, all teachings, materials & handouts. We offer a limited number of concessions for each training. If you like to apply for one please email us for an application form. These are on a first-come first-serve basis and tend to go early. All fees include VAT at the standard rate. Camping in your own tent or camper-van on our campsite. Self-catering breakfast. All lunches, suppers etc included. In the Forest Lodge. Self-catering breakfast. All lunches and suppers etc included. These can be set up to spread the costs. Fees must be paid in full by the start date of the training. We strongly advise that you book early so you can maximize the time available to spread the payments. Please contact us to enquire.